Spoiler alert: it could be said that this decision makes new law in New York on the issue of whether third-party diminution of value damages for a motor vehicle are recoverable in addition to the cost of repairs even if the repairs restore the vehicle to its pre-accident condition. In the opinion of the Appellate Division, Fourth Department, they are if the personal property or vehicle in question is the type that appreciates in value. 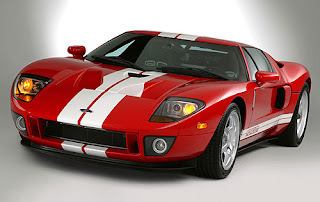 Plaintiff owned a 550-hp 2005 Ford GT sportscar1, one of only 4083 ever built. The MSRP in 2005 for one of these cars was $149,995, but plaintiff claimed the GT "is a rare collector's sports car rapidly appreciating in value." On May 28, 2005, defendant's 1997 Jeep Cherokee (MSRP $20,460) brushed up against and allegedly damaged2 the plaintiff's GT while it was parked on a street in the Chippewa bar district of downtown Buffalo, New York. Defendant's personal auto insurer, State Farm, estimated the cost of repairing the damage to plaintiff's GT to be $3,484.35. Plaintiff sued the defendant in negligence, seeking $52,000 in damages. Plaintiff claimed that even if the GT were fully repaired, the mere fact that it had been in an accident had diminished its market value by $40,000 because it would no longer be in its "original factory condition." Plaintiff also claimed that repairing the GT would itself cause the vehicle to lose market value because it would no longer be in its original factory condition. As of March 2009 when plaintiff's president was deposed, the GT had 2,500 miles on it and had not been repaired. If plaintiff's . . . automobile . 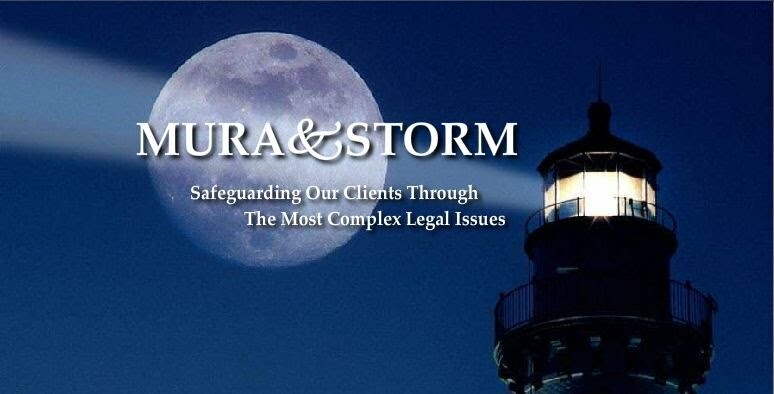 . . was damaged by the defendant's negligence, you will award to the plaintiff as damages the difference between its market value immediately before and immediately after it was damaged, or the reasonable cost of repairs necessary to restore it to its former condition, whichever is less. Thus, if the reasonable cost of repairs exceeds the reduction in market value, you will award the amount by which the market value was reduced. If the reasonable cost of repairs is less than the reduction in market value, you will award to the plaintiff the reasonable cost of repairs required to restore the . . . automobile . . . to its condition immediately before it was damaged. In this case the plaintiff claims that it has suffered damage to its automobile as a result of the accident caused by the defendant. Plaintiff further claims that the measure of damages is the difference between the market value of the vehicle immediately prior to the accident and the value after the accident. It is plaintiff's contention that even with repairs to return the vehicle to its pre-loss condition in terms of appearance and function, this particular vehicle is worth less after the accident simply because it was involved in an accident. Where the repairs do not restore the property to its condition before the accident, the difference in the market value immediately before the accident and after the repairs have been made may be added to the costs of repairs. When, as in this case, the property damaged is a limited edition collector item[,] the plaintiff may recover the difference in money between the market value of the property before and after the damage. In determining the amount of such loss, you will consider the evidence presented with respect to: witnesses experienced in the trade of the specialized market, testimony as to the market for such property, the distinction in value between two similar collector items where one has been damaged and repaired and one that has never been damaged and repaired, together with all other evidence presented to establish the value of the vehicle and the extent of plaintiff's damage. The trial court granted defendant's motion in limine and, concluding that the case was controlled by the Second Department's decision in Johnson v. Scholz, ruled that the jury would be instructed that the measure of damages would be either the diminution in value or the reasonable cost of repair, whichever was less. Recognizing that its ruling would limit the proof and issues at trial,the court ordered that the trial would be stayed pending plaintiff's appeal of its decision to the Appellate Division. In REVERSING the trial court's decision on defendant's motion in limine, the Appellate Division, Fourth Department, in a unanimous opinion written by Justice Martoche, concluded that the trial court erred in limiting plaintiff's proof at trial with respect to the diminution in value of the GT and thus that plaintiff was entitled to the charges it requested on that issue. Distinguishing Johnson, the Fourth Department noted that there was no evidence that the automobile in Johnson had appreciated in value from the time of its purchase, as plaintiff contended the GT did in this case. The Fourth Department likened the GT more to the plaintiff's violin in Schalscha v Third Ave. R.R. Co., a First Department, Appellate Division, decision from 1897, in which the court held that the plaintiff could recover not only the cost to repair the damaged violin but also its after-repair depreciation in value. Conversely, there can be no doubt that, under a general theory of damages, a plaintiff is entitled to be made whole. The situation presented here is somewhat unusual in that the GT has allegedly increased in value since the time of purchase, unlike most motor vehicles that would have diminished in value from the time of purchase to the time of the accident. Where a vehicle, like any other piece of personal property, has increased in value and is subsequently damaged by the negligence of the defendant, the plaintiff should be entitled to recover the cost of that diminution in value. Otherwise, the plaintiff will not be made whole. In our view, PJI 2:311 was intended to cover the situation in Gass (264 NY at 143-144), where personal property has depreciated from its original market value and is then damaged by the negligence of the defendant. The plaintiff in such a case will be entitled to recover the costs of repairs or the diminution in value, whichever is less. If personal property appreciates in market value from the time of its acquisition and is damaged by the negligence of another, the rule of this decision allows for the third-party recovery of both repair costs and proven diminished value IF repairs are actually made. If, however, like most chattel (personal property), if the property's original market value has depreciated, then its owner will be limited to recover either the reasonable cost of repairs or the property's diminished value, whichever is less. The actual impact of this decision to personal auto and liability insurers should be minimal since most personal property depreciates rather than appreciates in market value after acquisition. It marks, however, what could be considered a "new" rule in New York. New, at least, to the 20th and 21st centuries. Post Script (August 29, 2012) ~~ I tried this case to a jury for the defendant, Justin Prahler. Verdict returned today. $0.00 in repair costs. $0.00 in diminished value. Huge. 1. The decision says 2000, but Ford built the GT for model years 2005 and 2006 only. 2. Substantial dispute exists between the parties as to whether the GT sustained any damage at all from its contact with the defendant's Jeep. If anything, the damage was cosmetic only. My office represents the defendant in this action. 3. The court previously granted plaintiff's motion for partial summary judgment on negligence liability against the defendant.